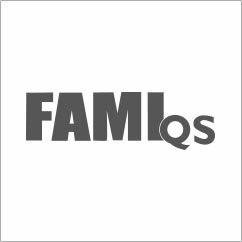 FAMI-QS is a quality certification for companies that develop additives and premixes for animal nutrition. It is a quality and safety system that arises from the European Regulation (CE) 183/2005 on hygiene of feed stuffs. The FAMI-QS regulation is a European system of good practices for the manufacture of feed for animal nutrition, which has been created to ensure the safety and hygiene conditions of the entire production chain of animal feed.